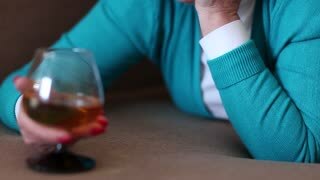 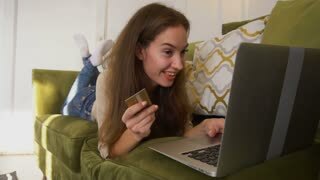 Search Results for "woman lying sofa"
Dolly shot of woman lying on sofa with in the evening with beverage. 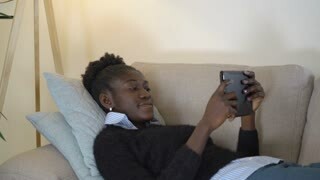 Woman lying on sofa and watching movie on tablet, closeup. 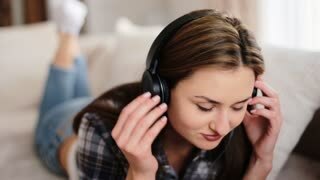 Young beautiful woman lying on the sofa and listening music in her headphones on the living room.